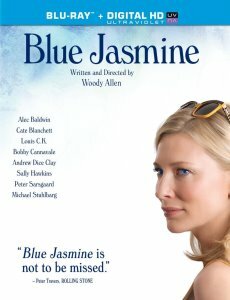 Description: Woody Allen trades New York City for San Francisco with his comedy-drama Blue Jasmine, starring Cate Blanchett as a troubled former Manhattanite who moves to the City by the Bay to live with her sister after her wealthy husband divorces her. Forced to put her life back together piece by piece while under the effect of powerful anti-depressants, she dates a series of mn, attempts to build a career, and slowly learns how to count on herself to survive. 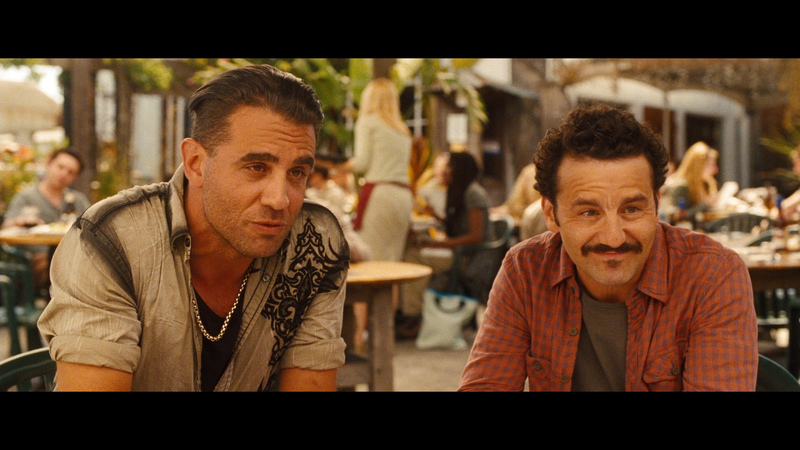 Alec Baldwin, Louis C.K., and Bobby Cannavale co-star. 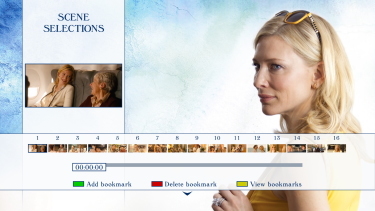 To get a sense of the titular character in Blue Jasmine, imagine Blanche DuBois if she were a New York socialite and married to a Bernie Madoff-like con man. 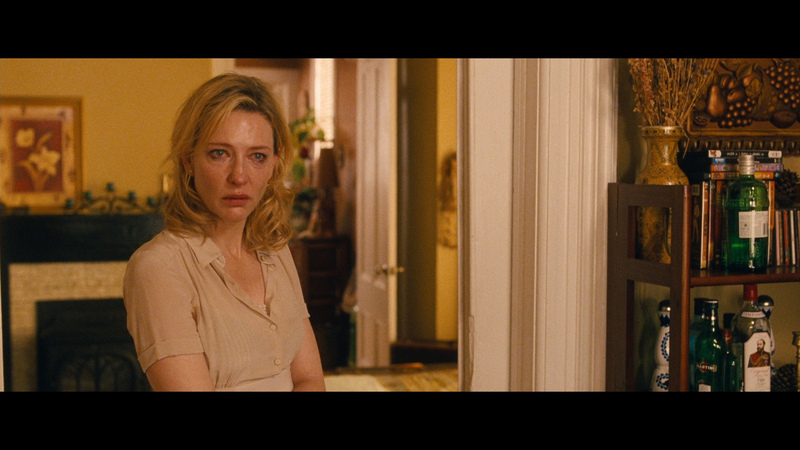 Cate Blanchett plays Jasmine in Woody Allen's latest work (* * * � out of four; rated PG-13; opens Friday in select cities), and her bravura performance is tinged with haughtiness, dry humor and madness. It's one of the year's finest, most complex portrayals, in one of Allen's best films in years. 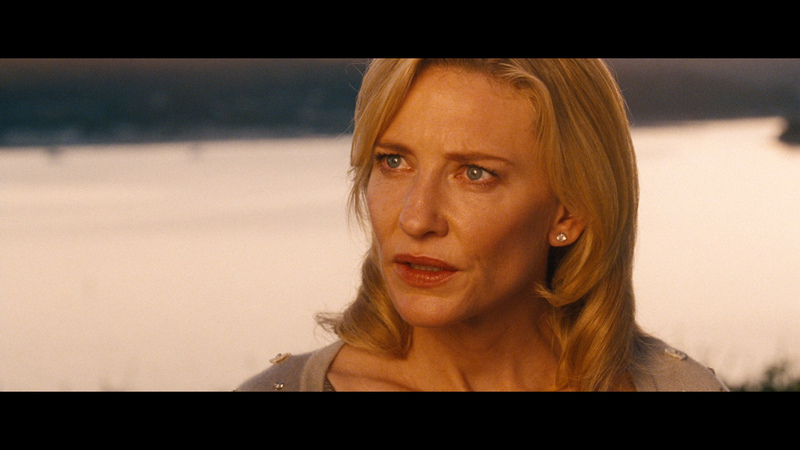 Blue Jasmine arrives on Blu-ray from Sony. 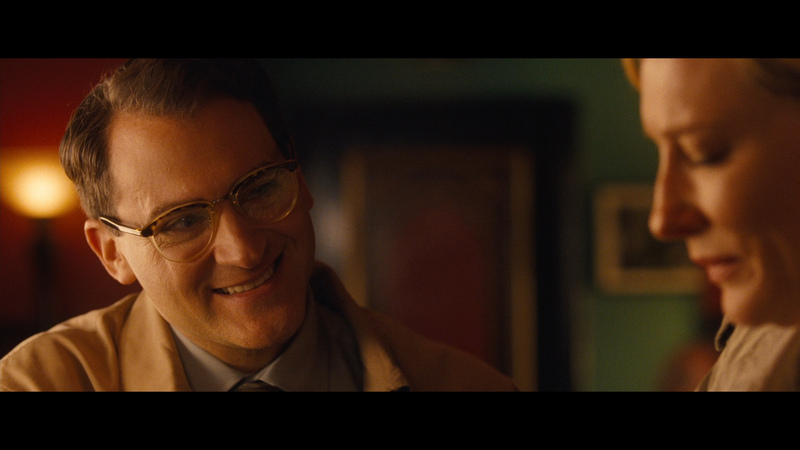 The image is quite 'golden yellow'-leaning slightly more than other Woody Allen film's of the recent past (Vicky Cristina Barcelona, Whatever Works, Match Point, Small Time Crooks) which all seemed to have a bit of that. This is dual-layered with a decent bitrate and the 2.35:1 (not usual for Allen) framed image looks quite strong. Colors seem brighter and truer than SD could relate and contrast exhibits healthy, rich black levels. There are plenty of daylight scenes which are very impressive but nothing is overly dark and I noted no noise. This Blu-ray produces a consistent 1080P presentation with pleasing detail looking like a solid replication of the theatrical. The DTS-HD Master 5.1 at a healthy 3146 kbps has a typical eclectic mix from Woody Allen including "Blue Moon", Louis Armstrong, Trixie Smith, King Oliver as well as the conclusive "Black Snake Blues". The high end is supported and creates some crisp light sounding Allen-esque atmosphere. There are optional subtitles and my Oppo has identified it as being a region 'A'-locked. 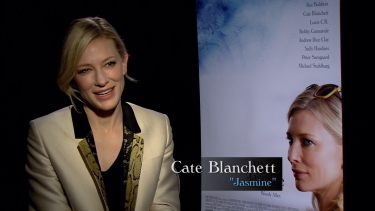 Extras include a 25-minute "Blue Jasmine Cast Press Conference" from Los Angeles with Blanchett, Peter Sarsgaard and Dice Clay moderated by Jenelle Riley. 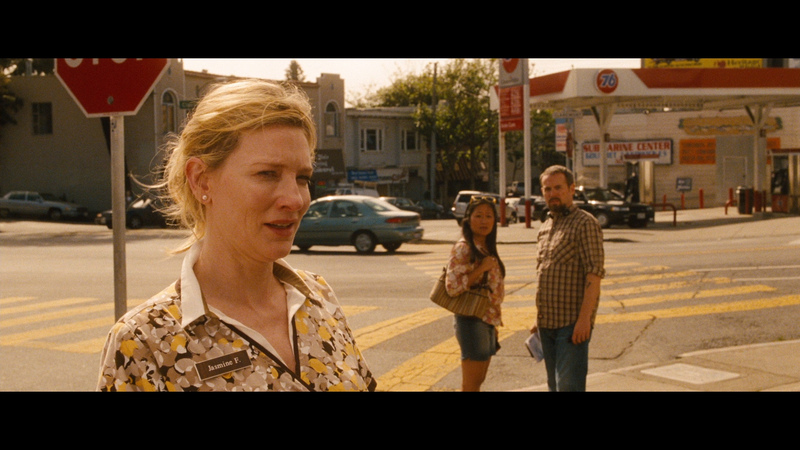 There is also a brief segment with Cate Blanchett entitled Notes from the Red Carpet and lastly, a trailer. 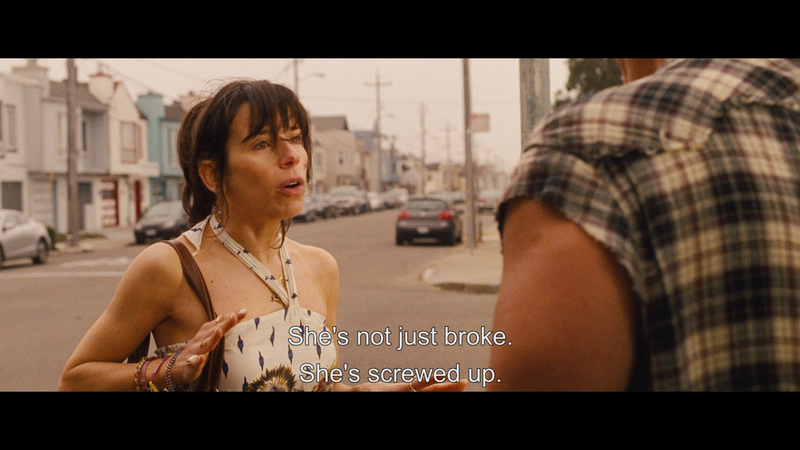 I thoroughly enjoyed Blue Jasmine - Blanchett is her usual marvelous self - giving a virtual thespian clinic and I am always fond of Sally Hawkins (so memorable in Mike Leigh's brilliant Happy-Go-Lucky). Woody's films are consistently superior to most of the rubbish that surfaces out of Hollywood and this is a real gem - his 48th feature! I thought this was such a treat and the Blu-ray provided a thoroughly pleasing presentation. One we can certainly recommend!